Commercial Projects Building Section and Elevation Architectural Drawings. 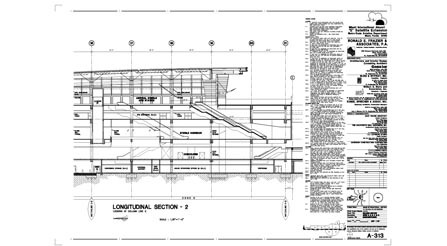 Building Section of the New Airport Terminal. 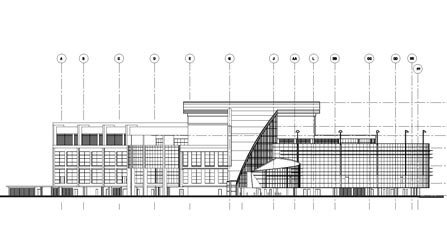 This drawing shows part of the large overall set of building section drawings of the new airport terminal. The crew at Miller Enterprises handled all of the vertical drawings on this large project. X-ref linked to the final complete set, this is an efficient way to divide discrete chunks of the drawing task process. Specializing in the complex relationships between plans and vertical drawings has become a valuable area of expertise at Miller Enterprises. Email questions about your project. Go to the drawing transfer area.